Approximately 304 faculty members have research appointments in the Agricultural Research Division (ARD). Most have joint appointments, with teaching or extension responsibilities as well. Some faculty have responsibilities other than ARD research, extension, or teaching. Administrative appointments, as well as appointments with centers and other UNL units or with the USDA Agricultural Research Service are also part of the responsibilities from some of our faculty. ARD programs depend on many linkages and cooperative arrangements in order to make the most effective use of limited resources and to address problems of mutual interest. 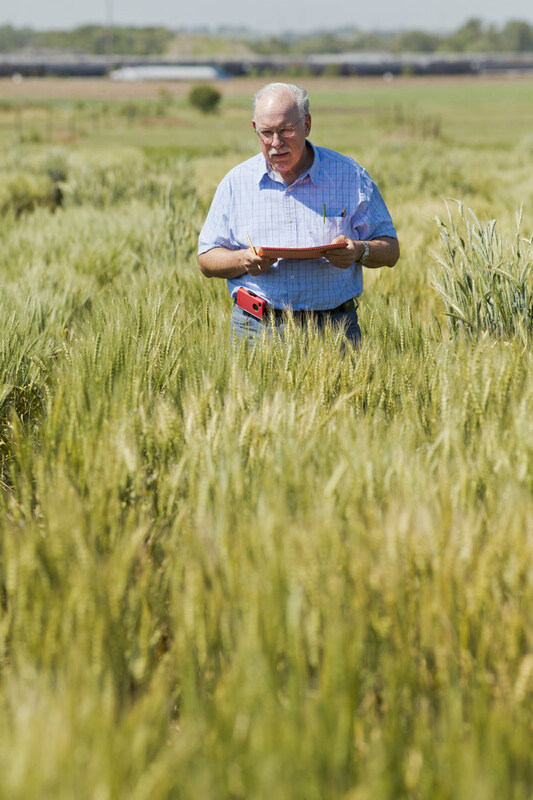 The USDA Agricultural Research Service (ARS) has about 25 scientists located on the UNL campus. Historically there has been a very close working relationship between these scientists, all holding adjunct faculty status, and UNL faculty. Four departments contain ARS scientists; The Departments of Agronomy and Horticulture, Entomology, Plant Pathology and Biological Systems Engineering. UNL scientists also cooperate closely with many ARS faculty at the Roman L. Hruska Meat Animal Research Cent (MARC) at Clay Center, Nebraska. There are about 60 scientists at the MARC facility, many of whom also hold UNL faculty status in the Department of Animal Science. Another federal facility located on campus is the U.S. Forest Service National Agroforestry Center. USFS scientists work closely with UNL faculty and hold adjunct faculty status. The USDA Natural Resources Conservation Service has personnel located in UNL facilities at the West Central Research and Extension Center, North Platte. The NRCS professional personnel there as well as those at the federal center, Lincoln, work closely with ARD faculty on a number of natural resources-related activities. The Department of Animal Science has a unique relationship with its industry supporters. Several industry representatives hold adjunct appointments in the department.